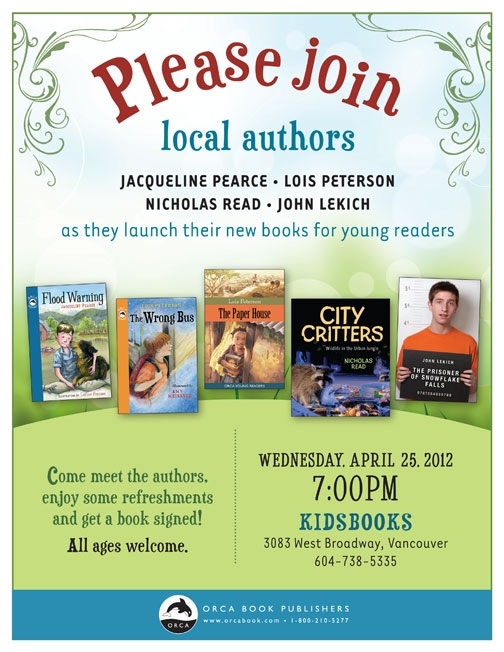 My new chapter book, Flood Warning, about the Fraser River flood of 1948 (and how a young boy helps to save his family’s herd of dairy cows), debuts this Wednesday at Vancouver Kidsbooks, along with books by three other local authors. Kidsbooks is one of my favourite places to spend some time! 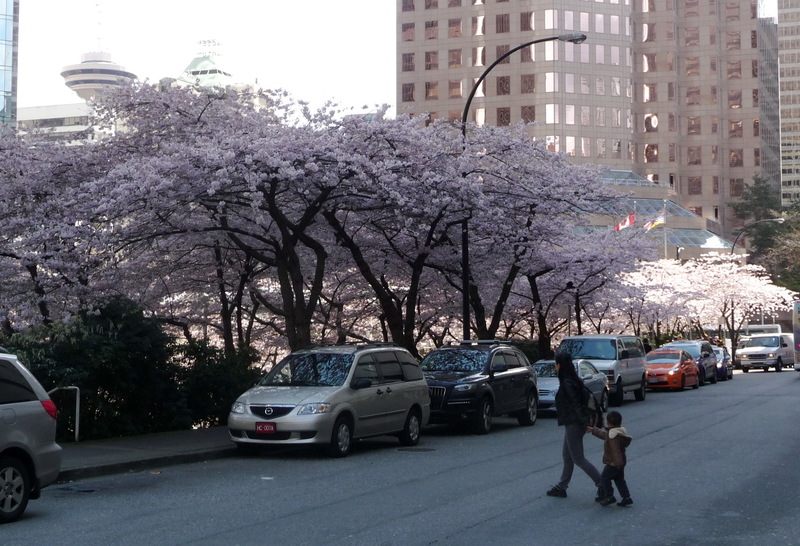 This year’s Vancouver Cherry Blossom Festival got off to a perfect start Thursday, April 5, with sunshine and cherry blossoms both cooperating. 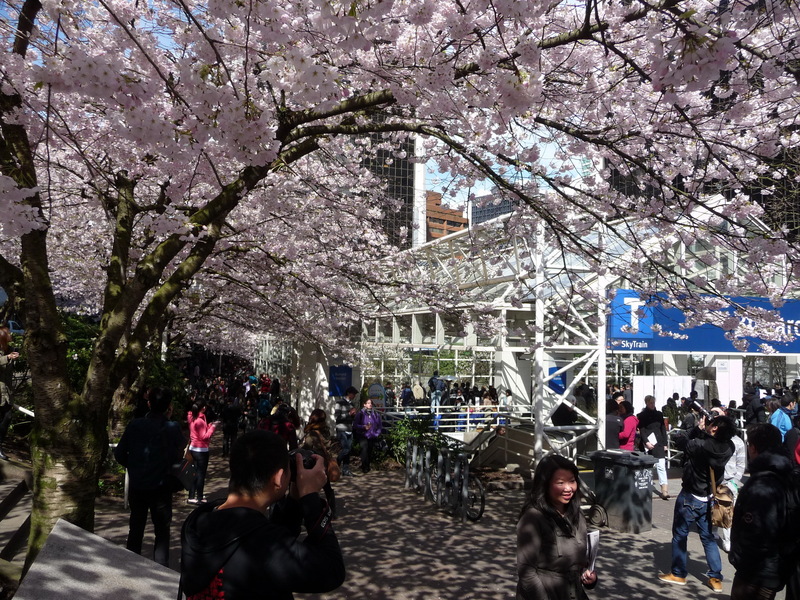 The Akebono cherry trees alongside Burrard Skytrain station (site of the festival kick-off) were in full bloom! 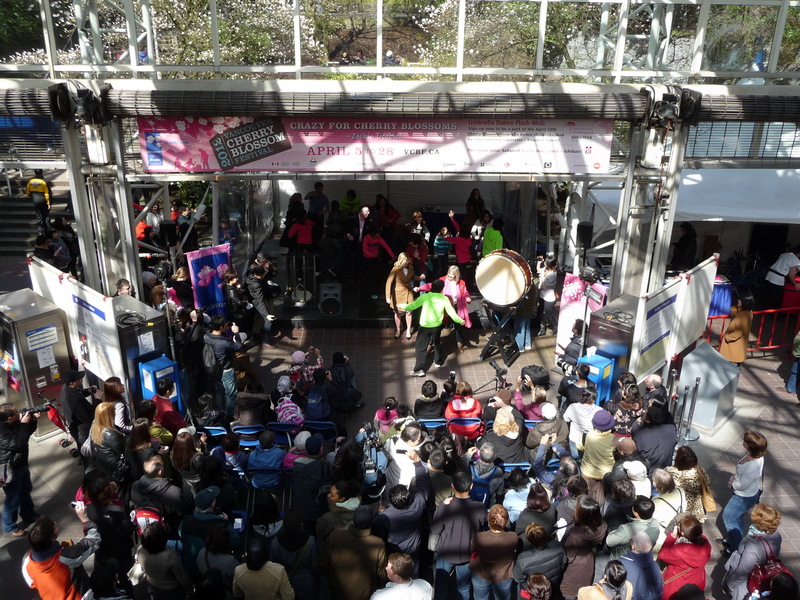 The event included Taiko drumming and other performances of Japanese music, as well as energetic Bollywood-influenced dancing that got the crowd joining in (led by Shiamak dancers, who are choreographing a flashmob umbrella dance to happen April 14). 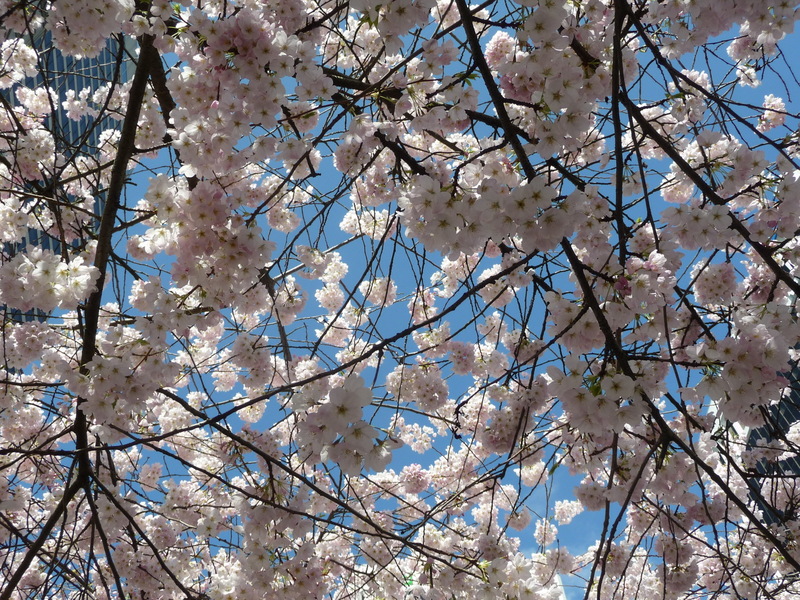 The celebration of blossoms continued at Vancouver’s VanDusen Botanical Garden over the weekend with Sakura Days Japan Fair.